Is your business encountering scalability issues and growing pains? Do you need to find efficiencies, speed up processes or reduce manual data entry? Has a retailer, vendor or other trading partner asked you to implement EDI? 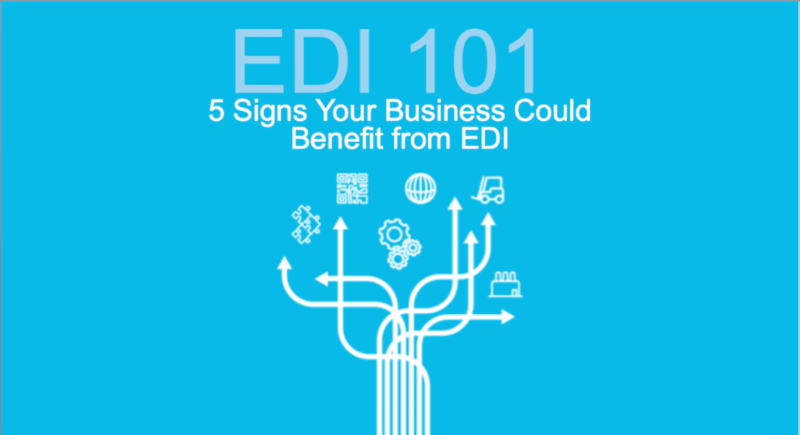 Download these two resources for free: EDI 101: How EDI Can Help Your Business and 5 Signs Your Business Could Benefit from EDI. What are the benefits of EDI and how is it relevant to your business? What are the different ways to acquire EDI? You’ll also learn to identify five specific areas of your business that could benefit from EDI. Discover how EDI can assist with solving some of your most pressing business problems and help you not only survive – but thrive – in the modern retail and supply chain landscape. Download your free EDI resources today.